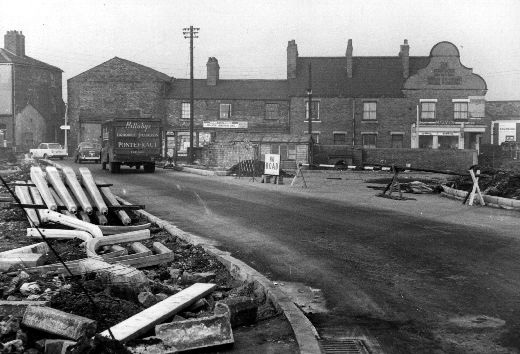 The image shows road works on Thornes Wharf and a Hillabys liquorice van making deliveries. Entrepreneur John Hillaby established the Lion Liquorice Works, Pontefract in 1850. The company grew their own liquorice and by 1893 were the biggest producer in the world. In 1943 the company were taken over by rival producers Joseph Bellamy & Sons Ltd of nearby Castleford.